Reading proficiently by the end of the third grade can be a make-or-break benchmark in a child’s educational development. Before this point, children are learning to read, building up the vocabulary, decoding the phonics and developing the phonemic awareness, learning to extract meaning from the context, and developing reading fluency in general. Beginning in the fourth grade, they are reading to learn, using their skills to gain more information in subjects such as math and science, to solve problems, to think critically about what they are learning, and to act upon and share that knowledge in the world around them (Early Warning! Why Reading by the End of Third Grade Matters, 2010). The National Research Council (Preventing Reading Difficulties in Young Children, 1998) asserts that “academic success, as defined by high school graduation, can be predicted with reasonable accuracy by knowing someone’s reading skill at the end of third grade. A person who is not at least a modestly skilled reader by that time is unlikely to graduate from high school.” Schools typically provide many opportunities to develop these skills, but what happens at home is still very important to reinforce them. What can families do to teach their kids a love of books and encourage them to become lifelong readers? Try not to skip this special time: Finding the right time every night (anywhere from 5 to 20 minutes) can make a huge difference in your child’s reading abilities, which also influences proficiency in a host of other domains. Sit side by side with your child, giving him or her your undivided attention. Don’t “tell” words at the developing level as the child reads: The axiom that the struggles of today develop the strengths of tomorrow seems to be true in many areas of life. Children require time to process certain words and sounds, and if we jump in and rob them of this process, we’re only doing them a disservice in the long run. Allow the child to use all the resources of the book, including pictures. Have your child re-read some passages for fluency. Allow some mistakes to go uncorrected. Allow the same book multiple times. Discuss what was read afterwards, encouraging reflection and questioning, to scaffold new information with what they already know. 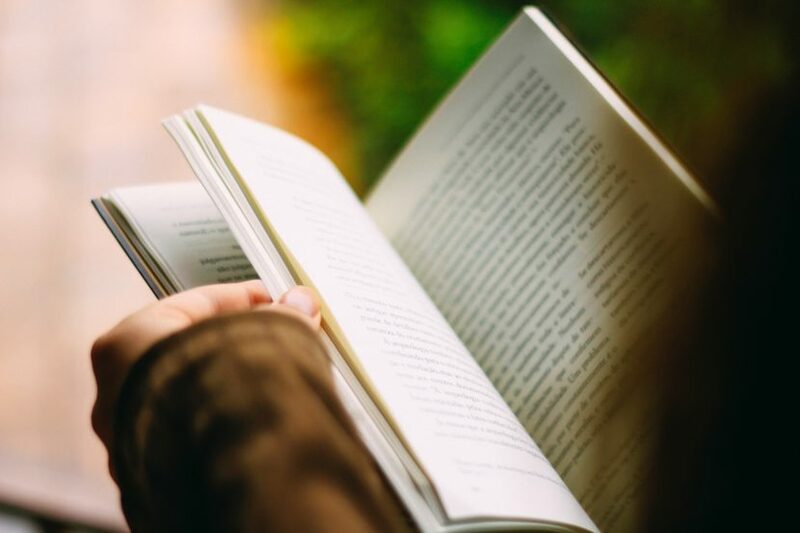 The benefits of reading have been heralded for years, with a mountain of research backing up the myriad ways in which a healthy routine of digesting fiction and non-fiction can improve our lives and wellbeing. The ability to read and comprehend text is undoubtedly important in modern society, and reading ability has been associated with improved health, education, socioeconomic status, and creativity. In a 2014 study in the journal of Child Development, researchers looked at the environmental influences on intelligence, specifically trying to determine how reading differences in children correlated with intelligence differences later in life. They found evidence that improvements in reading ability may result in improvements in both verbal and nonverbal cognitive ability. In a 2009 study from Carnegie Mellon University, 100 hours of remedial reading instruction was provided to 72 children (ages 8-10). As a result, their brain imaging scans indicated an increase in white matter in the brain, improving system-wide communication (more efficiency in transmitting signals) and reading ability. With age comes a decline in memory and brain function, but regular reading may help slow the process, keeping minds sharper longer, according to research published in Neurology. In a 2013 longitudinal study, researchers rated late-life and early-life participation in cognitively stimulating activities to test their hypothesis that cognitive activity across the life span is related to late-life cognitive decline. They concluded that individuals with more frequent cognitive activity over the course of their lives showed slower late-life cognitive decline. Anyone with even a remote interest in reading intuitively knows the power it has to profoundly affect us in positive ways. I still remember being absolutely shocked in my teen years when I read Bradbury’s Fahrenheit 451, Keyes’s Flowers for Algernon, and Orwell’s Nineteen Eighty-Four. I couldn’t believe that books could be that transgressive, imposing new thoughts and challenging ideas that completely rewired my juvenile, shallow understanding of the world around me. With so many distractions competing for our limited attention these days, it’s easy to forego the building blocks that make up a lifelong learner and reader. For all great things in life, the effort is front-loaded; the pay-off, for better or for worse, often comes much later. We encourage all families to consider the tips above, and welcome your input on how we can better support our current and future readers!